Suppose someone asked you to “prepare a meal using only food products grown, produced or manufactured locally”. Could you do it? What foods would you include? What about if you were asked to prepare meals, using only local produce, for a day, or entire week? 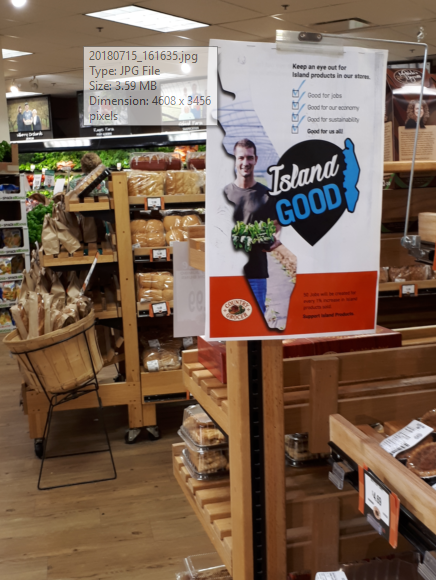 Fast forward to 2018, and VIEA’s collaborative pilot project, ‘Island Good’, a point of sale campaign involving four major Vancouver Island retail partners, Country Grocer, Quality Foods, Thrifty Foods, and 49th Parallel. 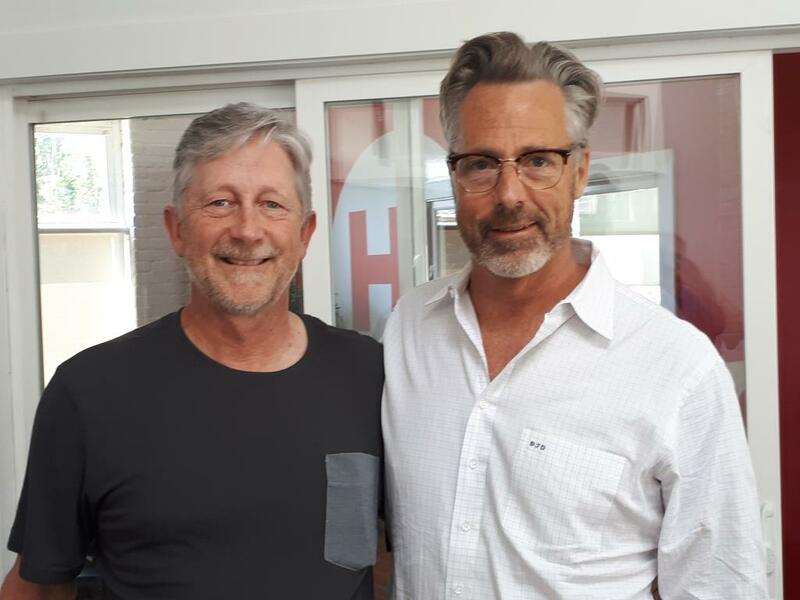 Always keen to understand the nuances of a successful, collaborative partnership, I met with two key architects of the Island Good campaign, George Hanson, President of VIEA, and Dan Dagg, President of Hothouse Marketing, to learn more. Island Good is a response to a local economy in which relatively few food goods are produced locally. Most Vancouver Island food is sourced off-island. Food sustainability is at significant risk, should catastrophe hit the Island. Island Good helps answer the questions – What if we made it easier to find Vancouver Island food? Would that increase demand for local food? And, subsequently, would that lead to increased production of local food? Island Good looks to grow local food demand and production, and increase the supply of Vancouver Island goods vs. services, currently at 20:80 (Canada’s is 70:30). Island Good aligns with VIEA’s “ultimate (big picture) goal to have every product from potatoes to airplane parts marked ‘Grown’ or ‘Made on Vancouver Island’”. VIEA used an existing forum to solicit partner interest; the annual Vancouver Island Summit – VIEA “put it out there” – that they were interested in a pilot project focused on increasing local food production, Island Good; VIEA shared the Island Good story at their annual Summit. 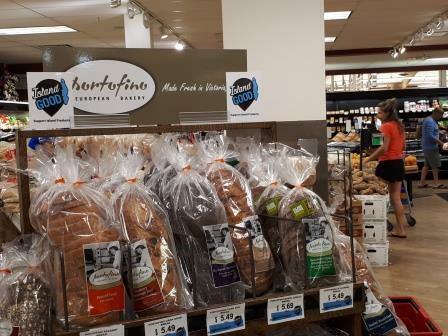 Four major Vancouver Island grocers stepped up to the plate. Start-up was made easier by major grocer involvement, and the senior executives from each grocer actively participating in the project. Partner conversations focused on the ‘why’; e.g., “the greater good”: economy, sustainability, relationships (e.g., “keeping kids close” – providing the next generation with economic opportunity, via increased local production). A MOU was signed. It was straight forward, clarified expectations (for each party), and included a “game plan”. Island Good launched in March, 2018, after 18 months of planning; working with the four retail partners. The campaign will end in September, 2018. Island Good pilot is happening in a competitive environment. Competitors are partners in the pilot. The pilot helps gauge consumer interest in purchasing local (Vancouver Island) food based on produce source vs produce sale price. By their participation in the pilot, the project’s retail partners are demonstrating respect of, and responding to, their customers/consumers interests. VIEA is collecting store sales data, on a monthly basis, throughout the pilot. Store sales data is both: 1) confidential, private to each retail partner (given the retail partners are significant competitors with each other) and 2) shared, at an aggregate level with all partners. Consumer response has been favourable, both in terms of actually purchasing more local produce, and anecdotally, in support of Island Good. 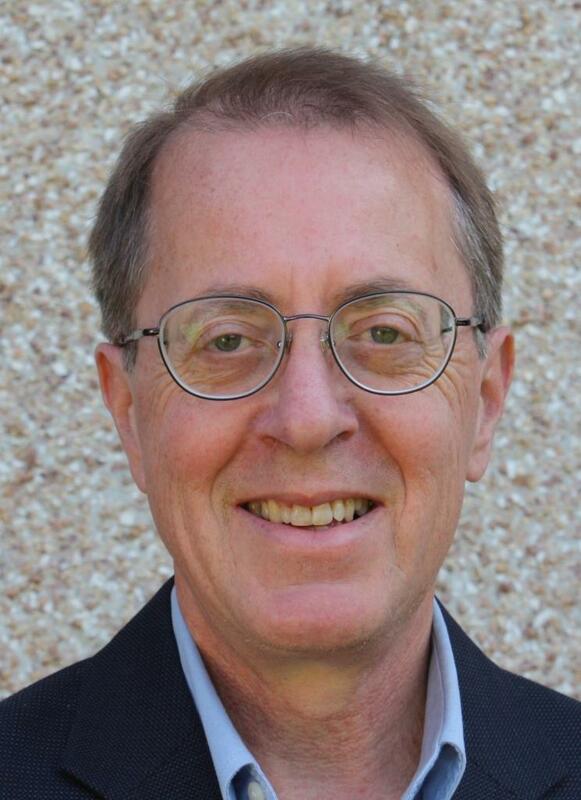 And, though not specific to the Island Good initiative, today’s news indirectly shone a light on Island Good, as per this article on how buying local / Canadian takes on added importance if you want to avoid tariffs on U.S. goods. Island Good partners are walking their talk, “together, we’re better”. 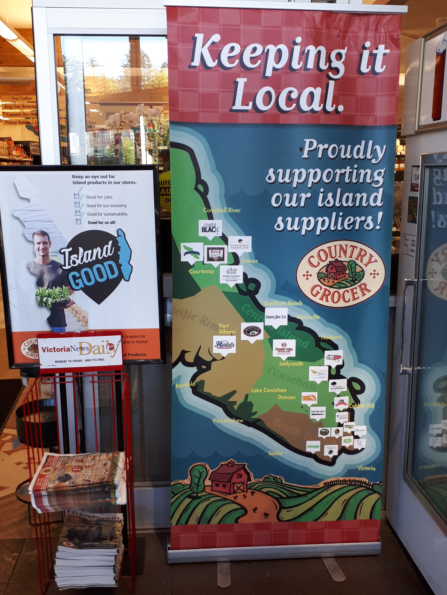 The success of Island Good is sure to generate increased interest, from other retailers and consumers, for local goods. The next step needs to be support, strongly voiced and backed by money, to assure that ALR land is saved, that dumping on ALR land stop immediately, that huge homes not be built on ALR land, that an active campaign to promote farming and make land available for young farmers be launched. We do not want agribusiness owning these farms. We want Vancouver Island people farming ALR land using sustainable farming practices and assuring fair wages to everyone who works on the farms. It can be done. We could be a model for North America. We could even make our island food a tourist attraction. And in doing so, we will promote food security and a local food culture. The island is ready for this. Just look at the number of people who go to farmers markets and the local farm stands. People want local food. 90% of my summer meals and about 50-60% of my winter meals..every day of the week..are local. It can be done, but to make this possible for everyone, supply needs to increase greatly.